Konkan, the western coast of Maharashtra, is known for its scenic beauty and rich biodiversity. But in recent years, it has been in the news due to the protests against mega-projects like the Jaitapur Nuclear Power Plant and Nanar refinery. Fishing and rain-fed agriculture were the only source of livelihoods in the past. But recently, investment in horticulture, especially mangoes, cashew, areca nut, betel leaf, food products, fishing and tourism have created new livelihood opportunities for the local communities. These livelihoods are completely dependent on natural resources such as land, water and biodiversity. Hence, any project that tries to divert or exploit these is vehemently opposed. In 2018, Saudi Aramco, which is one of the largest crude oil producers in the world, had invested in a trillion dollar oil refinery at Nanar village in the coastal Ratnagiri district of Maharashtra. 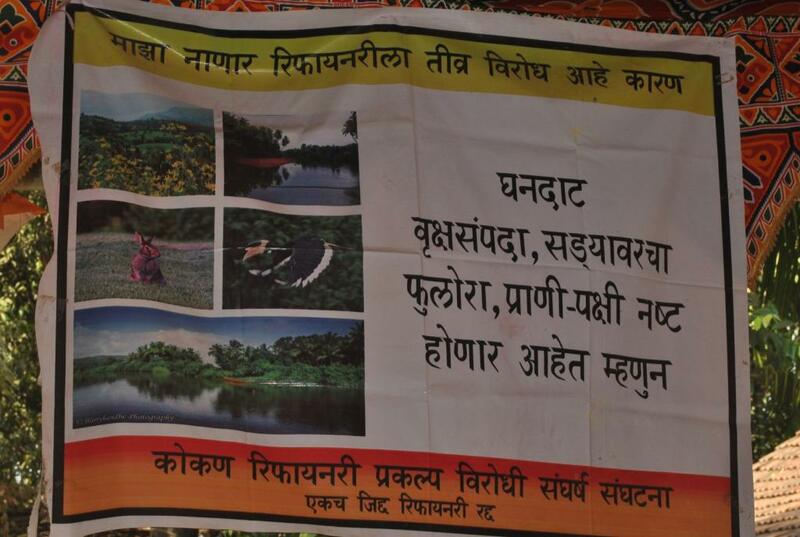 Land acquisition was planned from 16 villages and would have affected more than 8,000 farmers and fisher folk. The project was strongly opposed by local communities on the grounds of livelihoods. The area is famous for exporting Alphonso mangoes. Cashews, fish and tourism are other important businesses which would have been affected not only in these 16 villages, but in the surrounding areas as well. 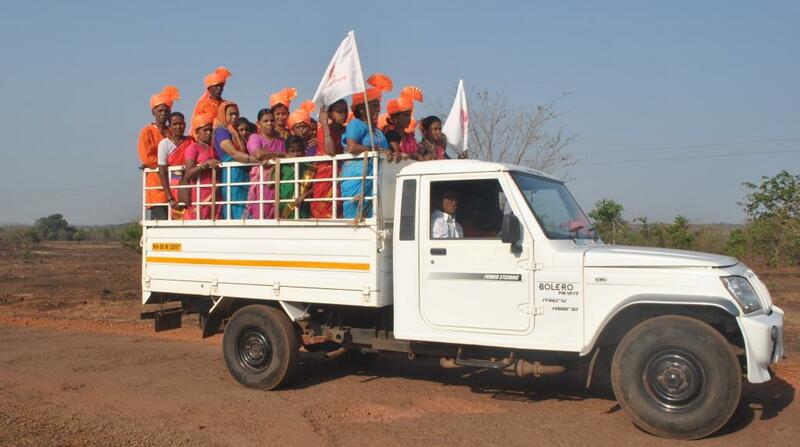 Similar strong opposition was also put up by people against the Jaitapur Nuclear Power Plant located a few kilometres west of Nanar and from Mopa airport in Goa. But the government had paid no heed to the protests in the past. However, the protestors at Nanar used diverse social, legal and political activism strategies and drove a hard bargain with the local politicians to convey the will of the people to the state government. In the end, the Maharashtra government has decided to relocate the refinery elsewhere. A government resolution scrapping the acquisition was the demand of the people, and when it was released it was publicly displayed in the villages. The arguments put forth by the activists are interesting and include environmental, cultural, social and economic reasons for opposing the refinery. The banners put up in a prominent temple show how the people have viewed Nanar as a “rakshas”, “a demon” which was threatening their way of life. Just as it would have destroyed their places of worship, it would have also destroyed their livelihoods and environment. The banners also include a reference to the lesser-known “sada” or lateritic plateau ecosystem which is characteristic of this part of the Konkan. It is given equal importance as the better-known forest and wetland habitats. It is the first time in India, that this globally threatened habitat has been publicly defended by local communities. Sadas are vast expanses of laterite, formed more than 50 million years ago. They are known for their monsoon flora rich in endemic and threatened plants and animals. Millions of flowering plants bloom on the rocks in the monsoon, forming carpets of many colours. Abundance of carnivorous plants, desiccation-tolerant plants and bulbous plants makes them biologically interesting and unique ecosystems. The recent discovery of pre-historic petroglyphs in Ratnagiri and Sindhudurg districts has shown how Sadas have contributed to the establishment and growth of human civilisation in this region. Laterite has a special property of holding rainwater in subterranean crevices. Hence, wells and tanks dug into the Sada are sources of perennial water supply to the villages. But the same habitats appear rocky and barren during the dry period that is almost 8 months of the year and poor scientific understanding led them to be categorised as “wastelands”. In fact, the extreme climate of the Sada, which changes from hot and dry to wet is necessary for the biodiversity. Harsh microclimate of the Sada is responsible for the characteristic flavour and colour of the world famous Alphonso (Hapus) mango which earns millions of dollars in the global market. The Sadas need to be protected for their rich and threatened biodiversity, ecosystem services to local communities, and as a very unique and special habitat in the world. If protected, they have the potential to generate ecological, cultural and aesthetic tourism which will provide sources of sustainable livelihood. The recent activism around Nanar has successfully argued for the interests of the locals above those of outsiders. The ideal next step would be to create “Biodiversity Heritage Sites” under the Biological Diversity Act, 2002. This can help to give a legal basis to the sentiment of people towards their own environment and culture and ensure in future nothing else can threaten the sanctity of the region. Congratulations on your victory. Unity has blessed you with victory.